Kehinde Wiley; Robert Hay Drummond, D.D. Archbishop of York and Chancellor of the Order of the Garter, 2018; (C) Kehinde Wiley. Photo of the artwork by Theo Welling. St. Louis cultural institutions are on a roll right now. In the spring CAM welcomed a solo exhibition by Amy Sherald, who painted the official portrait for First Lady Michelle Obama. 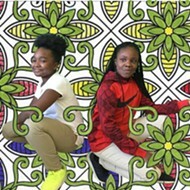 And now the Saint Louis Art Museum opens its specially-commissioned exhibit of portraits of black St. Louisans painted by Kehinde Wiley, who painted Barack Obama's Presidential portrait. And let's not forget ongoing exhibitions by Jean-Michel Basquiat, Sanford Biggers, William Downs (now at CAM), and the Pulitzer Art Foundation's double bill of work by Lola Alvarez Bravo and Ruth Asawa. But if singular moments in St. Louis' cultural history aren't your thing (something to work on, perhaps), the leading edge of the Halloween scythe approacheth and Snoop Dogg steps on to the stage to act at the Stifel Theatre. Artist Kehinde Wiley leaped into the public consciousness when his presidential portrait of Barack Obama was unveiled in February, but he's been making vital work that explores the nexus of race and representation for years. In 2017 the New York City-based Wiley visited the Saint Louis Art Museum to review the collection with an eye toward a future exhibit inspired by the historic style of portraiture. While he was in St. Louis, Wiley went to north St. Louis and Ferguson to meet with people and find subjects for his own paintings. 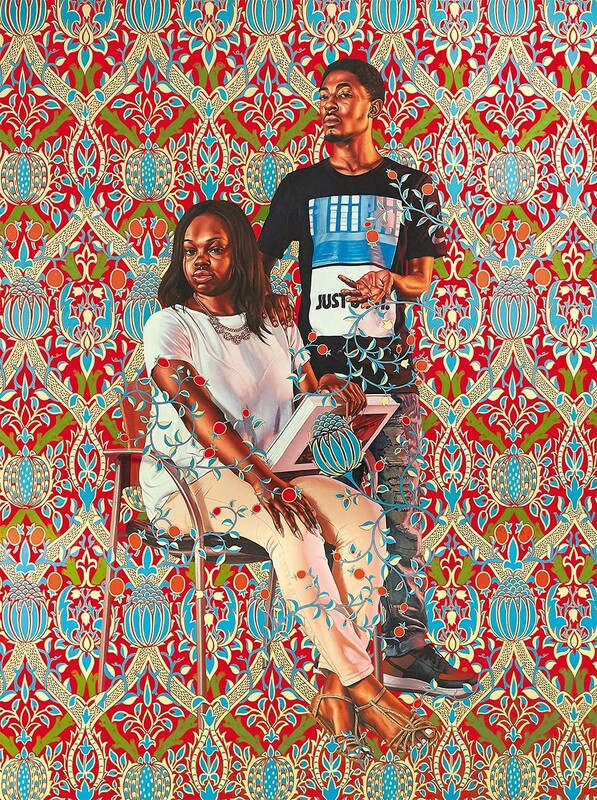 Kehinde Wiley: Saint Louis is an exhibition of eleven large-scale paintings of everyday black St. Louisans dressed in modern clothing, posed in the manner of kings, statesmen and other powerful figures. 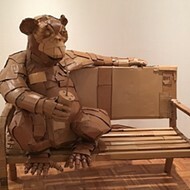 Wiley's new work will be on display in galleries 249 and 250 from October 19 to February 10 at the Saint Louis Art Museum (1 Fine Arts Drive; www.slam.org). Admission is free. Snoop Dogg has been many things in his life: a uniquely talented rapper, a compelling narrator for short nature documentaries, a reggae performer and even Martha Stewart's co-host. But now he's taking a stab at live theater. Working with writer/producer/director Je'caryous Johnson, Snoop has crafted the play Redemption of a Dogg. Snoop plays a man who chases fame and fortune at the expense of his family. When he wises up, he recognizes his mistakes and attempts to make amends by placing his family first and his career second. Redemption of a Dogg stars Snoop, Tamar Braxton and a selection of songs culled from Snoop Dogg's 25 years in the music business. 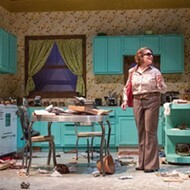 The play is performed at 8 p.m. Friday, October 19, at the Stifel Theatre (1400 Market Street; www.stifeltheatre.com). Tickets are $59.50 to $125. 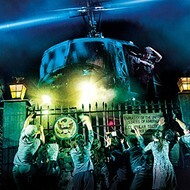 Zombies and other delights take over the Budweiser Brew House. Riff Raff (Kelley Abell) is up to no good in Washington University's production of The Rocky Horror Show. There is no road map for coming out to your friends and parents, because every person and situation is different. Telling people who you really are can be traumatic, joyous or a bit of a letdown — anything can happen. The Q Collective, a new local theater company, makes its debut with a showcase of short plays about the experience. The Coming Out Play Festival features six fifteen-minute plays, with subjects including two friends, soon to be separated by college, who wonder if their friendship will survive ("Where the Fireworks Come From"); a young woman who has to explain to her mother why she's called off her wedding ("Something Old"); and the fallout from one man's failed attempt to come out during his mother's Christmas Eve party ("Baby Black Jesus: Part Four"). All six plays are performed at 7 p.m. Friday and 4:30 and 8 p.m. Saturday (October 19 and 20) at the Monocle (4510 Manchester Avenue; www.theqcollective.theater). Tickets are $15 to $20. Henrietta Leavitt has questions about deep space and Earth's place and role in the universe, so she gets a job at the Harvard Observatory in hopes of finding satisfying answers. Instead, she's confronted by the unsatisfactory reality that women aren't allowed to use the telescope. Her dream job turns out to be grunt work, as she's expected to catalog all the stars revealed on the telescope's photographic plates while men pursue the business of discovery. Yet women are capable of seeing what men cannot, and in those plates Leavitt finds something no one else has noticed, breaking new ground in astronomy. Lauren Gunderson's play Silent Sky charts the lives and work of early-twentieth-century female astronomers and how they defied the odds to do great work in an age when society mostly demanded they stay out of the way and procreate. Insight Theatre Company closes its current season with Silent Sky. Performances are at 8 p.m. Thursday through Saturday and 2 p.m. Sunday (October 19 to November 4) at the Kranzberg Arts Center (501 North Grand Boulevard; www.insighttheatrecompany.com). Tickets are $15 to $35. The Kemper Art Museum's Technofutures Film Series continues with director Hans Werckmeister's rarely seen parable Algol: Tragedy of Power. Algol is a coal miner who receives a visit from an alien being who passes along the secret of unlimited power. Armed with the keys to the industrial world, Algol becomes a wealthy and important man. But what about all those poor miners — what can they do when their jobs disappear overnight? Art directors Walter Reimann and Paul Scheerbart built massive sets influenced by Expressionist art, giving the film an otherworldly look. The digitally remastered version of Algol screens at 7 p.m. Monday, October 22, at the Landmark Tivoli Theatre (6350 Delmar Boulevard, University City; www.kemperartmuseum.wustl.edu). Washington University professor Diane Wei Lewis introduces the 1920 film, which is silent except for the score. Admission is free. Bernie Federko is one of the greatest playmakers in NHL history, but his talents are mostly known only in St. Louis because he played at the same time as Wayne Gretzky. The kingpin of the St. Louis Blues from the mid-'70s to the late '80s, Federko racked up assists and made every one of his wingers better. In due time his number was retired by the team and he was elected to the NHL Hall of Fame. Now serving as part of the Blues' broadcast team, Federko has at last written the book that sheds light on how a kid from tiny Foam Lake, Saskatchewan, rose through the amateur and regional ranks to reach the Hall of Fame. Federko discusses and signs copies of My Blues Note at 7 p.m. Wednesday, October 24, at the Ethical Society of St. Louis (9001 Clayton Road, Ladue; www.left-bank.com). He's joined by his co-author, sportswriter Jeremy Rutherford. Admission for one person is $30 and includes a hardcover book. The $35 ticket is good for two people and one book. Please note that Federko will not sign any memorabilia, but he will pose for photos.